The world is gradually turning to something else. Humans indulging in barbaric acts all for material things. It is saddening! 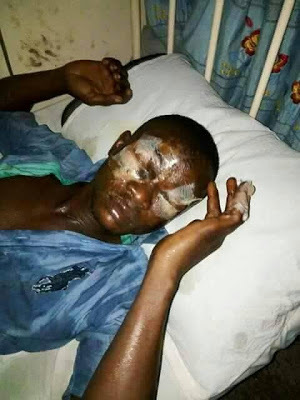 On the 10th of May, the young man pictured above simply identified as Emmanuel was blinded in both eyes after a member of his community identified as Wike Ugonna allegedly attacked him with acid during a land dispute at their village in Atani in Ogbaru local government area of Anambra State. 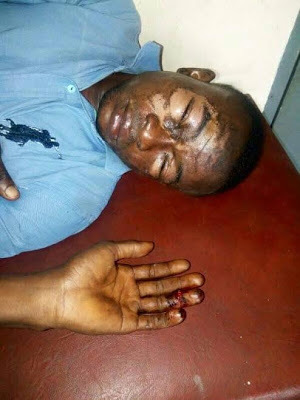 According to reports, the family of Emmanuel's family wanted to use a part of a land they use for farming in their community and approached the Wike's family for it but Wike's family turned them down. This resulted to tension being created between the two families. 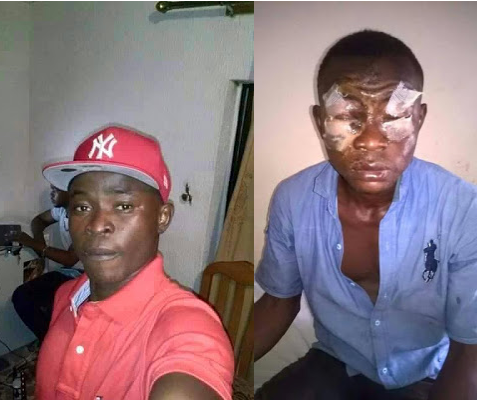 Emmanuel was said to be working on another person's farmland on the day of the attack, when Wike approached him and allegedly poured acid on him and also cut him with a machete. Wike Ugonna is currently on the run.